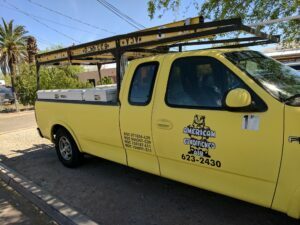 I pride myself on being a one stop shop that is able to meet all of my client’s needs as one of the top HVAC companies Tucson has to offer. Along those lines, my goal is to provide the highest quality design and installation services, on schedule, and on budget along with outstanding customer service. Additionally, I understand that time and cost are crucial and I strive to go above and beyond my client’s expectations. For my customers’ peace of mind, I offer valuable money saving service and maintenance contracts. Furthermore, I’ve assembled a team within our company offering a high level of experience and expertise in projects of all complexity. Each of our technicians has at least 6 years in the industry, which means that no problem is too big (or too small) for them to complete successfully. American Conditioned Air always strives for excellence and quality in service. That’s why our goal is to provide you with the highest quality experience, whether it is a simple repair or complete system replacement. Established in 1976, American Conditioned Air is a family-owned business with extensive experience in installing air-conditioning systems. Subsequently, our company has successfully completed many complex projects. Certainly, it’s those many years in the industry that give us confidence about the professionalism of our employees and the quality of work performed. 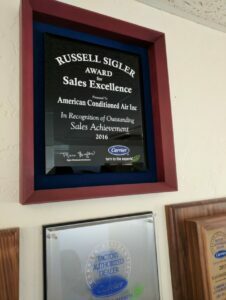 Today, we can proudly say that we are among the best HVAC companies Tucson residents can call. Our company provides a full spectrum of work of any level of complexity. Most importantly, our team is made up of highly qualified professionals, who have been in the industry for no less than 6 years. Hence, we have gained extensive experience while solving the most complex technical and organizational tasks. That allows us to provide you with the best service. It’s important that you and your family are never left in the cold during the dead of winter. Similarly, you don’t want to be left without air conditioning on the hot days of summer. 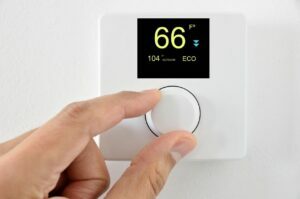 Because we’ve been in the industry for decades, we know just how uncomfortable a home or office without heating and cooling can be. 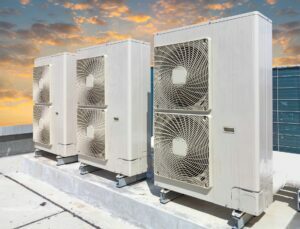 From the smallest tune-ups to full-scale replacements, no project is too big or too small for American Conditioned Air Heating and Cooling Tucson AZ. Therefore, you shouldn’t hesitate to call on us whenever you need service.